Life has been busy, as always! And I have had less time for my little Internet space which I come to to upload pictures of pastry and cake. Because someone's gotta do it, right? On my first day back was coffee and catch up with my dear italian friend Claudia. 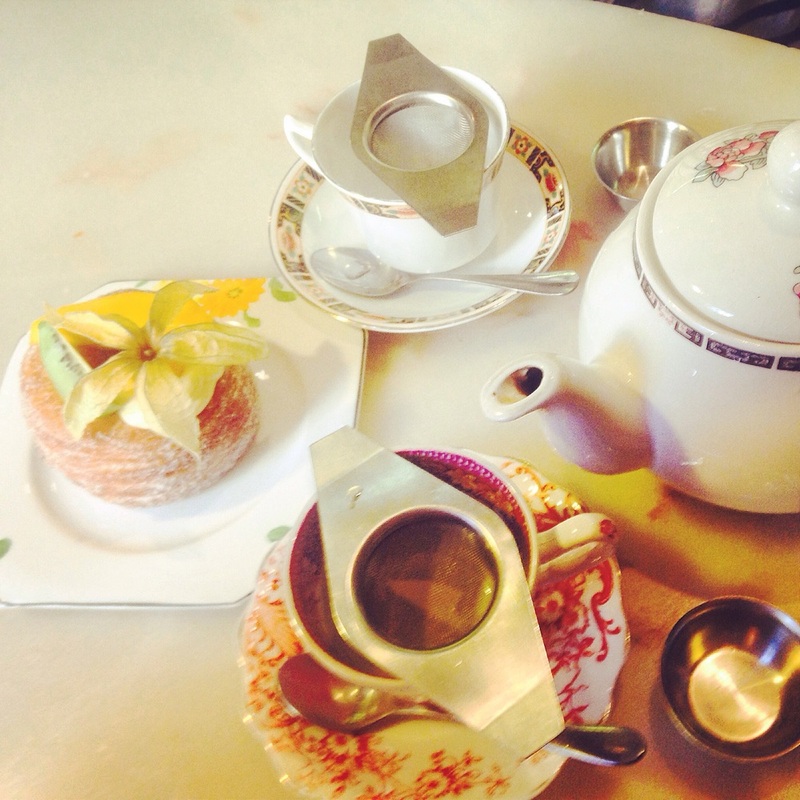 We had to go to Cocomaya because I needed to taste a Cronut. I have never had one before and this has (quite honestly!) disturbed me for quite a while! 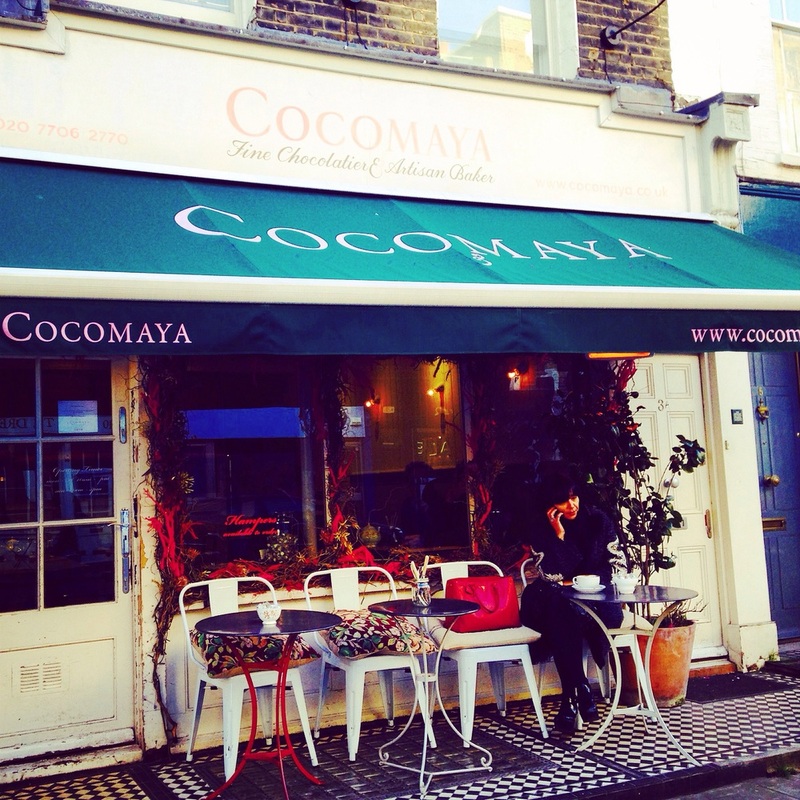 I worked at Cocomaya in the chocolate shop when I was in sixth form as an apprentice chocolatière with pastry chef Jonathan Deddis. A couple of years after opening the chocolate shop, they opened a bakery and deliver fresh filled Cronuts to all those who have had the good idea of getting hooked on them. I was pleasantly surprised just by how delicious the cronut is. 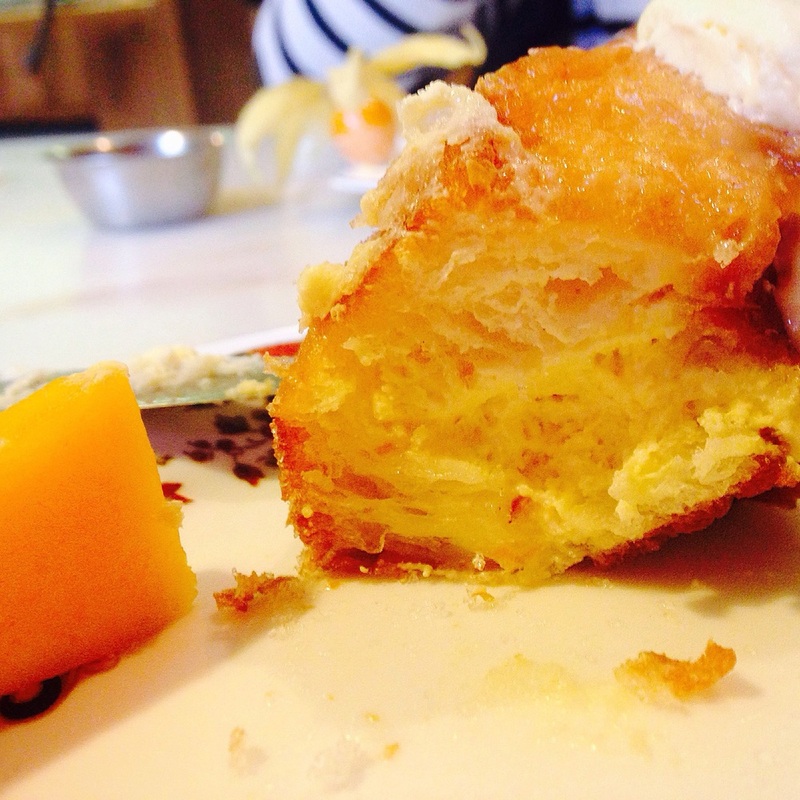 We had a mango and passion fruit curd Cronut. Cronut is a croissant- doughnut pastry invented by french pastry chef Dominique Ansel in New York. Ultimately, it really does taste like a donut, but less doughy and more croissanty (Can I even write that?) Perhaps its best you go try for yourself. Cocomaya do a good 'un! 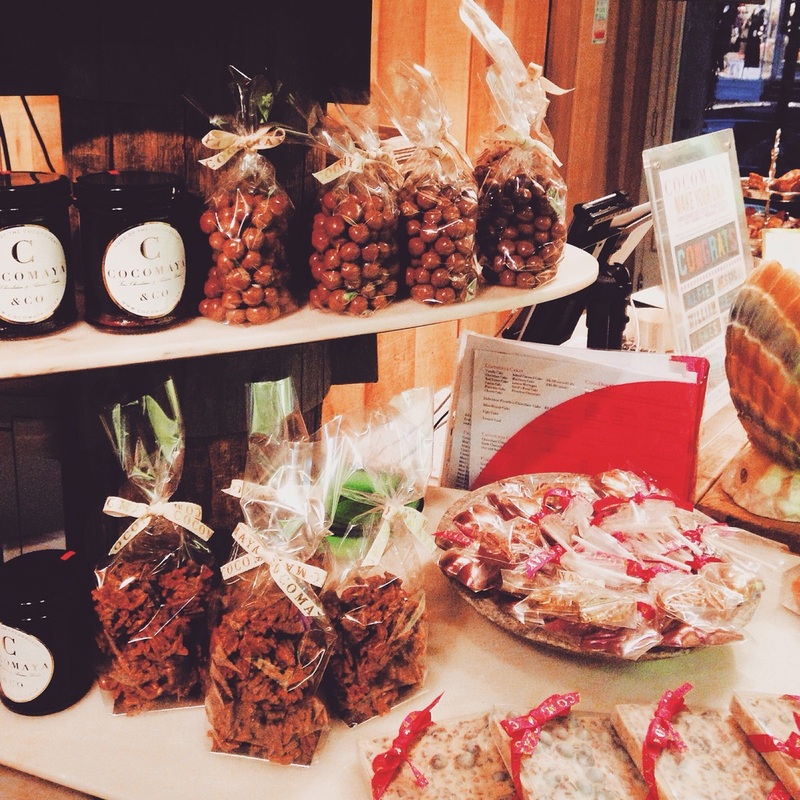 The next day, I went for a walk with my dad and I stopped to check out the pastry display at Ottolenghi. Similarly, I worked at Ottolenghi (part time when I was at university) so I have a pang of nostalgia every time I walk by the busy boutique, which is always crammed with people trying to get a piece of chargrilled broccoli or seared beef, or a lemon and mascarpone tart that you can see in the window! 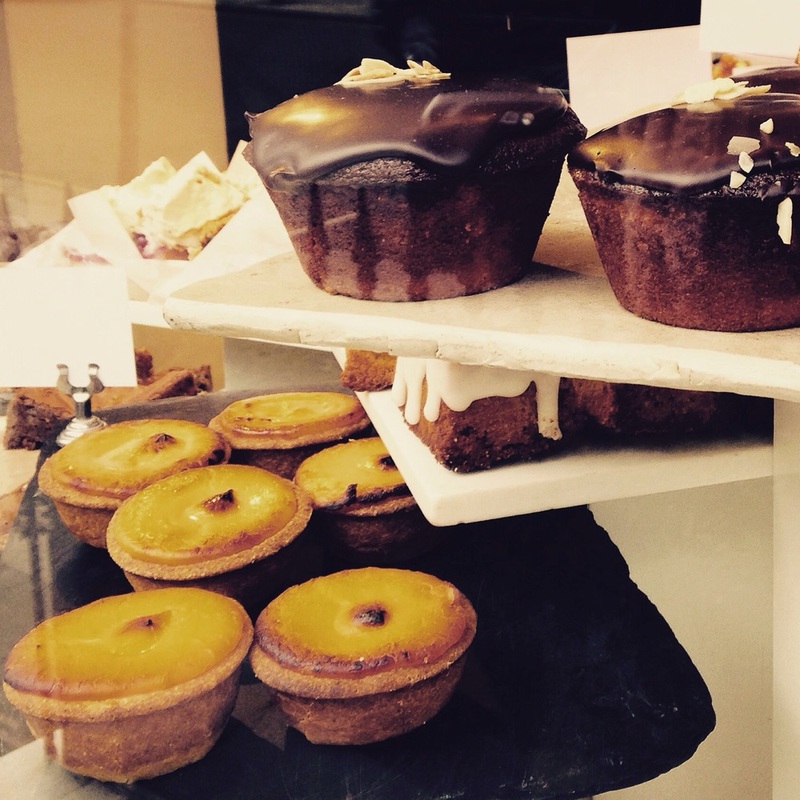 If you read this and you're in London, do get pastry from Ottolenghi. The caramel macademia cheesecake is exquisite as is the chocolate fondant. Understandably, it is known more the mediteranean food buffet and delicious take away salads but their pastries are worth a try. Passionfruit tart it if you can. 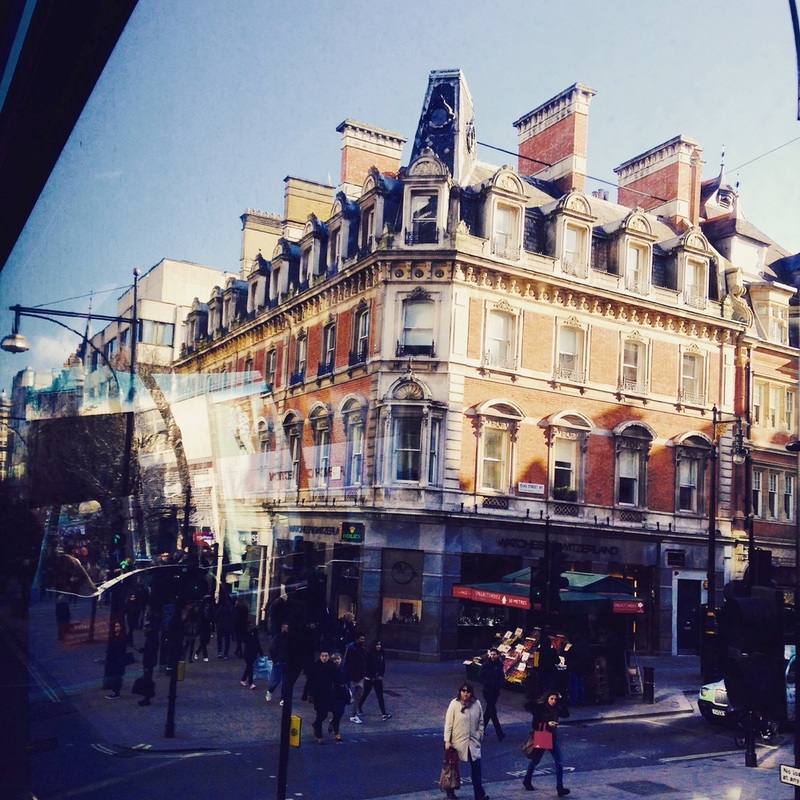 Posted on February 8, 2015 by Abigail Scheuer and tagged london pastry pastrylife recommendation inspiration3.